Graduated in 1980 from the Kharkov Institute of Radio Electronics with a degree in "Electronic Computers". Total work experience of more than 36 years. From 1980 to 1998 worked in various positions in public and private organizations. From 1998 to 2007 worked in OJSC "Aiyl Bank" as an accounting specialist, then was appointed head of the department, later - Deputy Chairman of the Board of OJSC "Aiyl Bank". Since 2007 to 2017 was the Deputy chairwoman of the Board of "Bank of Asia" CJSC, responsible for IT, back office and card servicing. 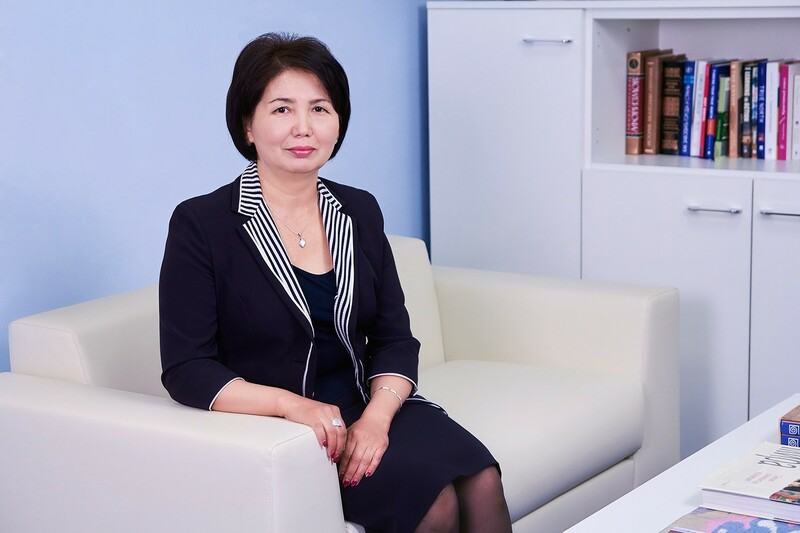 Zemfira Atakishieva is a professional of the business, has the sign of the Master of Quality and the certificate of honor of the Union of banks of Kyrgyzstan. Graduated in 1993 from the Plekhanov Russian Academy of Economics in Moscow with a degree in "Economic and Social Planning". Has excellent knowledge of the major financial instruments, in particular, specialized in the securities market and treasury operations, experience – 23 years. 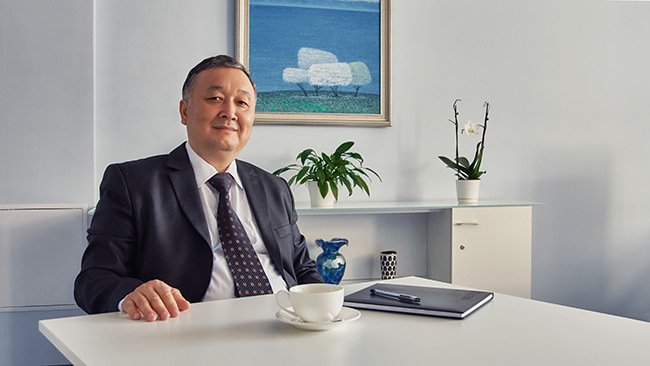 Started his career in 1993 as a Chief Economist in the Department of Foreign Economic Activity of the Joint-Stock Commercial Bank "Kyrgyzagroprombank". In 1996 was appointed Head of the Department of Foreign Exchange Operations and Securities of OJSC "Akylinvestbank". From 2000 to 2007 worked as Chief of the Department of Calculations and Dealing Operations of "Bank of Asia" CJSC. From 2007 to 2015 served as Director of the branch of "Bank of Asia" CJSC. From 2015 to present is the Deputy Chairman of the Board of "Bank of Asia" CJSC responsible for the treasury and the regional network. 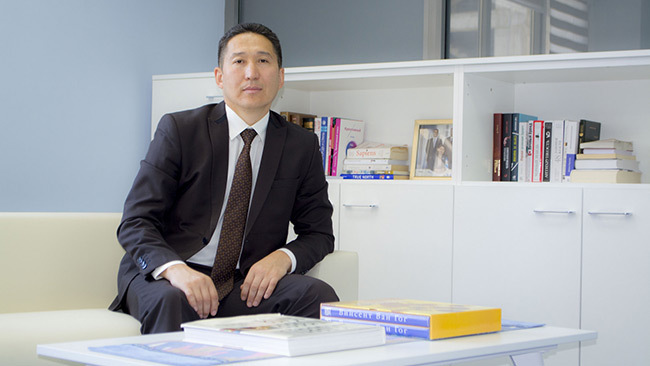 Graduated in 1996 from the Agrarian Academy in Bishkek with a degree of economist-manager. In 2008 received a master's degree in management at the Academy of Management under the President of the Kyrgyz Republic. Qualified credit expert, 20 years of experience. In 2011was appointed Deputy Chairman of the Board of CJSC "Zalkar Bank". From 2012 to 2015 worked as an Advisor to the Chairman of the Board of "Bank of Asia" CJSC. From December 2015 to present is the Deputy Chairman of the Board of "Bank of Asia" CJSC supervising credit activity. In 2000 I have with honors graduated from economics department of the Kyrgyz agrarian academy of K. Scriabin in "accounting and audit". In 2006 - a postgraduate study of the same higher education institution. The general seniority in the financial and bank sphere is more than 18 years, of them 13 years – in bank. In different years in commercial banks I supervised operating activities, the financial analysis and accounts department. From 2010 to June, 2017 I held a position of the chief accountant of CJSC "Bank of Asia". Certain time I have devoted myself to public service, work in the design and private organizations, I was engaged in teaching activity. ASSA DIPIFR and the certificate of CAP has the diploma in the international financial statements. I have issued several scientific and analytical articles. Now is a lecturer of the course "Accountant of Bank Account" in Bank training center of the Union of banks of Kyrgyzstan. It is awarded with the Letter of thanks of the Union of banks of Kyrgyzstan. Since July, 2017 holds a position of the vice chairman of the board of CJSC "Bank of Asia". She graduated from the Mechanics and Mathematics Department of the Kyrgyz State National University with a degree in Applied Mathematics in 1985. Her total work experience is more than 32 years, of which more than 20 years are in the banking sector. She began her career as a software engineer and worked in public and private organizations for more than 12 years as a programmer in the field of accounting automation. 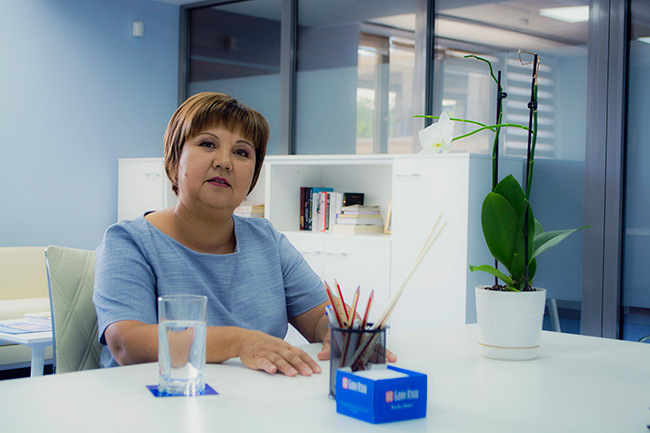 She has been working in the banking sector since 1998: in the Aiyl Bank OJSC she holds the positions of business analyst, chief of the loan department; in "Kyrgyzstan" JSCB – the head of the financial department, the director of the treasury; in Zalkar Bank OJSC – the Deputy Chairman of the Management Board. Since 2012, she has been working as the Advisor to the Chairman of the Board of Bank of Asia CJSC. On December 29, 2017, she was appointed to the position of a member of the Management Board of Bank of Asia CJSC. 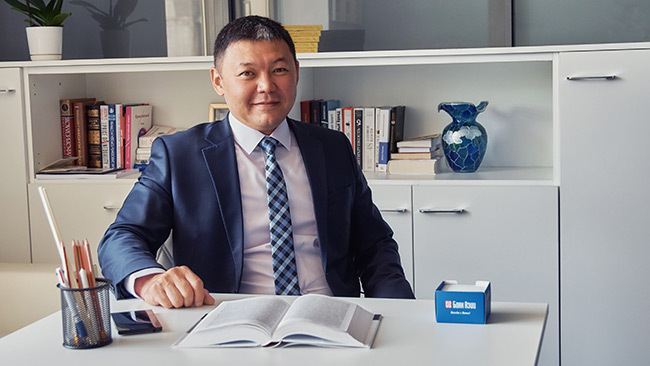 In 2008, Medet received a bachelor's degree in economics from the Kyrgyz-Russian Slavic University, after which he continued his studies. In 2010, he received a master's degree in economics. Medet started his general labor activity in 2006, since 2011 he has been working in the banking sector. He held the positions of Head of the Business Development Department at CJSC "Kyrgyz Investment and Credit Bank" and OJSC "Aiyl Bank". He also served as a consultant for a World Bank project on the development of electronic and digital financial services in Azerbaijan and Central Asia for two years. 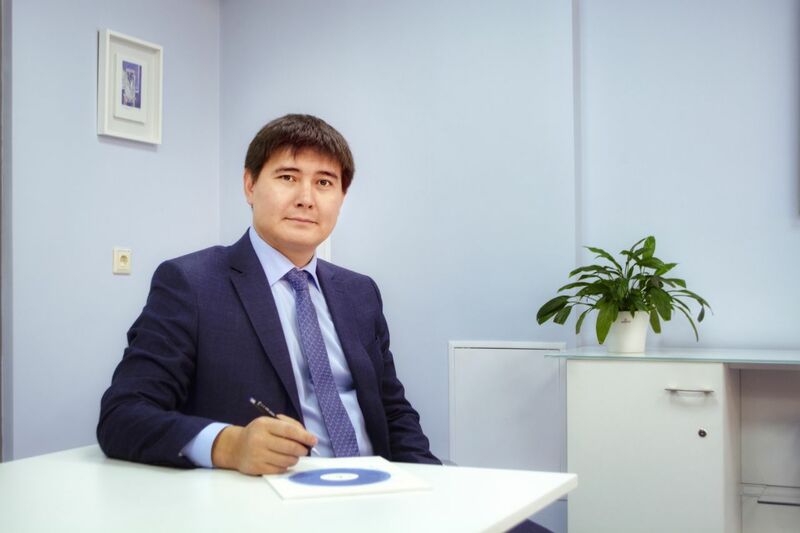 Since September 2018, Medet is a member of the Board of CJSC Bank of Asia.